Trustee: Served as lead counsel for bankruptcy trustees in over 100 bankruptcy cases and related adversary proceedings. Responsible for the collection of millions of dollars of estate funds for the benefit of creditors and investors through preference actions, fraudulent transfer claims, and related bankruptcy litigation. Business Reorganization: Represented individuals and businesses in reorganization, liquidation, and bankruptcy-related litigation, including complex cases under both Chapter 11 and Chapter 7. Cases have included the adjustment of millions of dollars of debt and the preservation of going-concern value for the benefit of creditors, owners, vendors, and employees. Credit Recovery/Defense: Assisted lenders seeking to recover from insolvent entities, and lenders sued on Chapter 5 avoidance and other lender-liability claims. Such representation routinely involves both global and regional lenders, as well as other types of creditors with a significant stake in the going-concern value of the debtor enterprise. Business/Asset Sales: Served as counsel to buyers and sellers of assets and operating businesses in bankruptcy. Prior representation has inlcuded due diligence of the bankrupt’s financial affairs, crafting appropriate bids and bid procdures, crafting and negotiating asset purchase agreements, and consummating sale trasactions and addressing susequent title and documentation issues. Litigation: Assisted or served as primary litigation counsel in federal and state court litigation implicated by potential or actual bankruptcy filings. Prior cases have included the strategic evaluation and implementation of various litigation and bankruptcy strategies, such as automatic stay considerations, venue, and other jurisdictional vehicles. Recent cases include $100MM avoidance claims. Receivership: Served as lead and co-counsel for state and federal court receivers. Cases have included the sale of receivership assets, investigations related to “Ponzi schemes”, and the pursuit of related litigation against conspirators and agents of receivership defendants. Mr. Jobe is a Shareholder in the firm’s bankruptcy and business litigation practice areas. He is Board Certified in Business Bankruptcy Law by the TBLS. His practice focuses on bankruptcy proceedings and related litigation, along with state and federal court receivership proceedings. 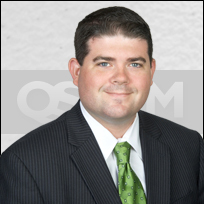 He also practices commercial litigation across a wide array of industries. Previous law clerk for the Honorable Robert L. Jones, United States Bankruptcy Court for the Northern District of Texas. Previous judicial intern for the Honorable William R. Greendyke, United States Bankruptcy Court for the Southern District of Texas.